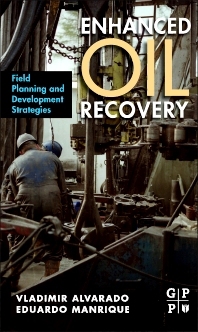 Enhanced-Oil Recovery (EOR) evaluations focused on asset acquisition or rejuvenation involve a combination of complex decisions, using different data sources. EOR projects have been traditionally associated with high CAPEX and OPEX, as well as high financial risk, which tend to limit the number of EOR projects launched. In this book, the authors propose workflows for EOR evaluations that account for different volumes and quality of information. This flexible workflow has been successfully applied to oil property evaluations and EOR feasibility studies in many oil reservoirs. The methodology associated with the workflow relies on traditional (look-up tables, XY correlations, etc.) and more advanced (data mining for analog reservoir search and geology indicators) screening methods, emphasizing identification of analogues to support decision making. The screening phase is combined with analytical or simplified numerical simulations to estimate full-field performance by using reservoir data-driven segmentation procedures. Assets evaluated include reservoir types ranging from oil sands to condensate reservoirs. Case study A, Case study B, Case study C.
Case study D, Case study E, Case study F.